REFLECT: How do we "lift up our soul" to the Lord? 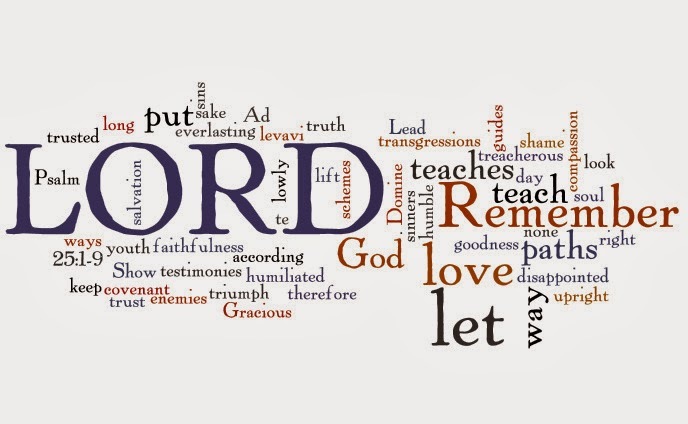 RESPOND: List the characteristics of the Lord found in this Psalm that eliminate shame. "O my God, in you I trust; let me not be put to shame..."
The characteristics of the Lord found in this Psalm that eliminate shame are "Do not remember the rebellious sins of my youth. Remember me in the light of your unfailing love, for you are merciful, O Lord." This Psalm expresses our cry for His mercy knowing He could do whatever He wants but proves his love towards us by giving us what we don't deserve and holding back what we do deserve! Praise God!